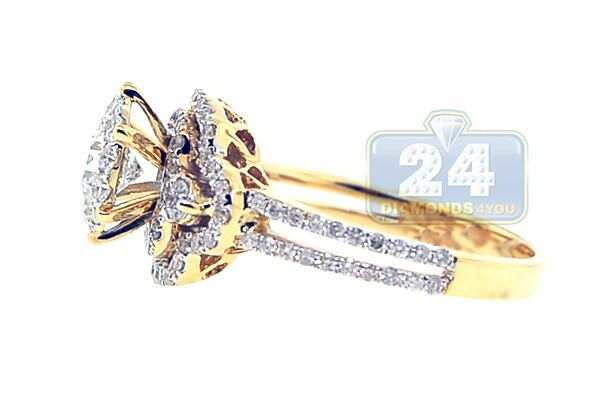 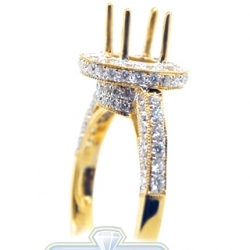 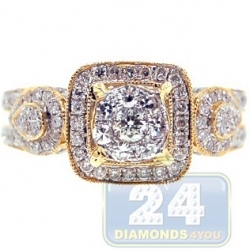 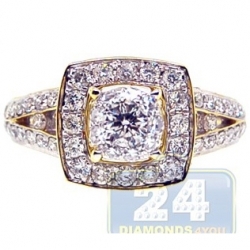 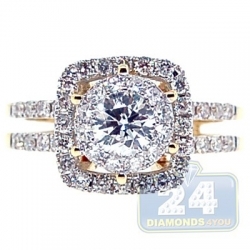 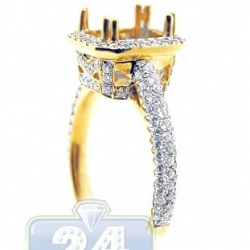 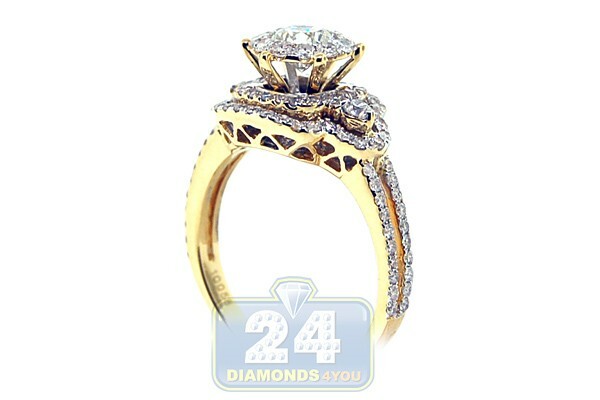 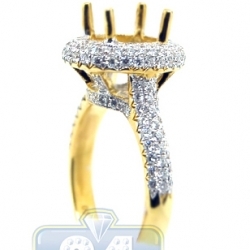 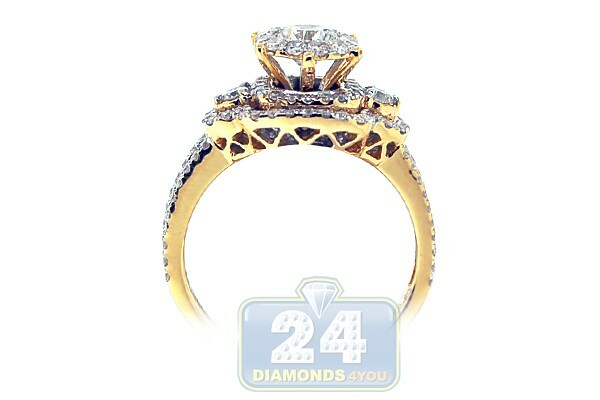 Show your never ending love with this royal diamond engagement ring! 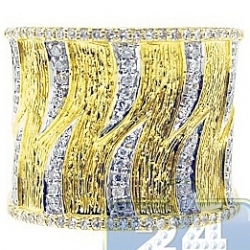 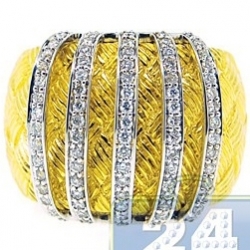 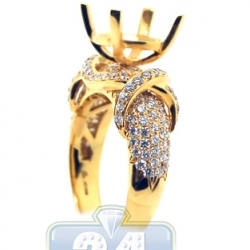 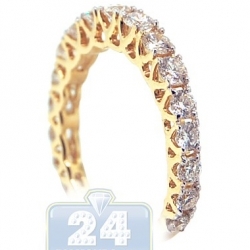 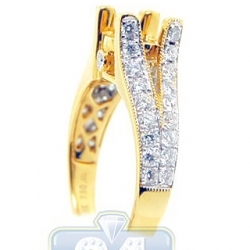 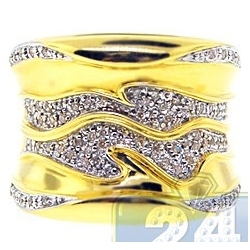 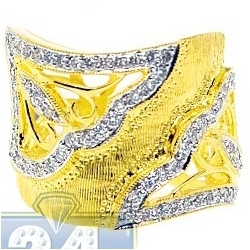 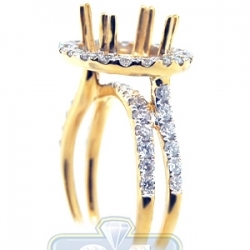 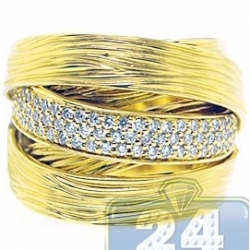 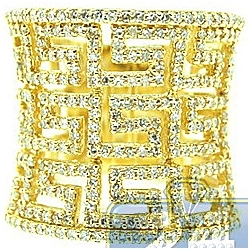 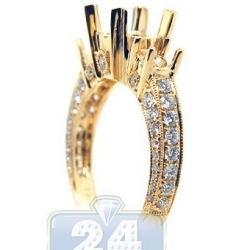 It is artfully produced in classic 14k yellow gold with shiny polish. 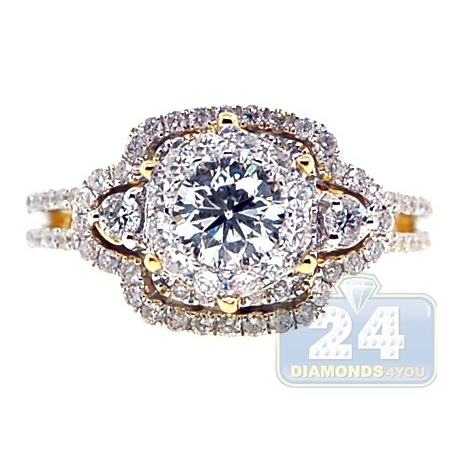 The centerpiece is high mounted in a crown setting with sparkling white diamonds and skillfully surrounded by smaller stones creating a solid and luxurious look of this bridal ring! 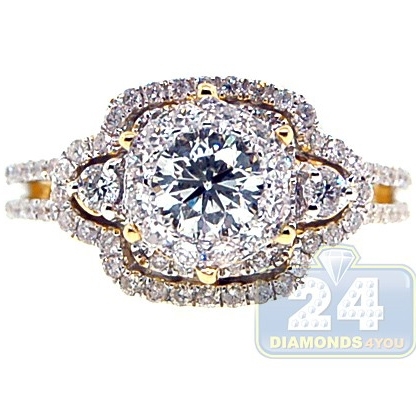 What an amazing engagement piece at the affordable price!